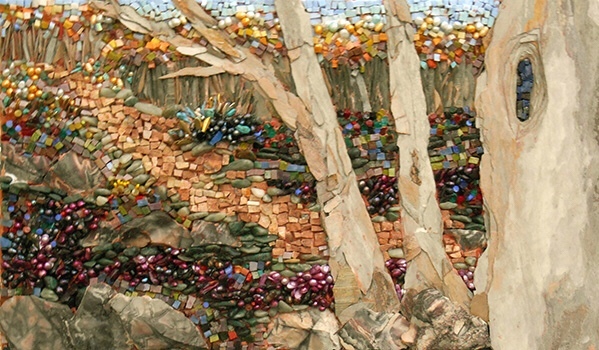 Creating mosaics involves many alternate techniques. Equally important to the method, what also impresses on the final outcome, is the choice of ingredients that feed into the artwork as a whole. As there is no one standard for this aspect of the process, the list of materials to choose from is endless. There are no unique mosaic materials when it comes to applying the art, and a mosaic can be created by practically any material you want. But there are some widely used and preferred materials that we touch on in this post. 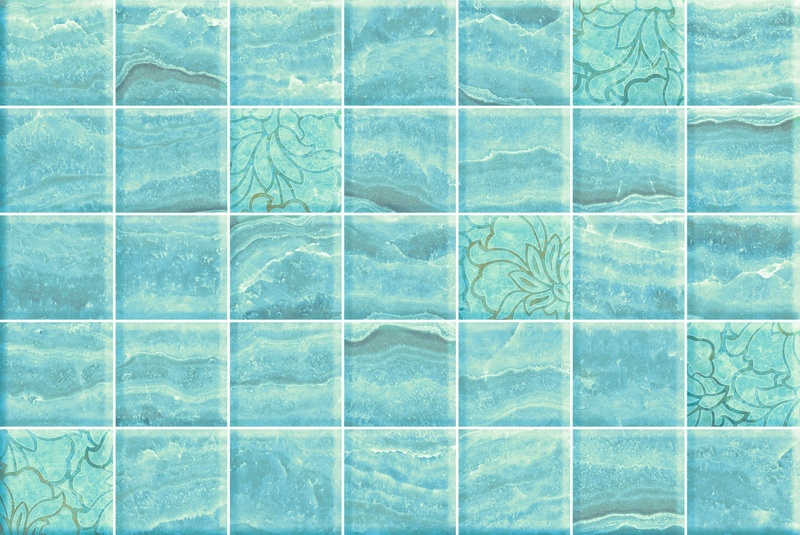 In a recent blog post, we walked you through the basics of how to piece together a custom mosaic. Today, we give a closer look at the variable constituents that make up the mosaic: the selection of materials, or tesserae if you will. We also take a look at how each choice reflects on the artwork, and how that impacts on the nature of a production. This aspect of the process deserves its focus, as the many tesserae that form the mosaic can be sourced from a wide variety of materials. 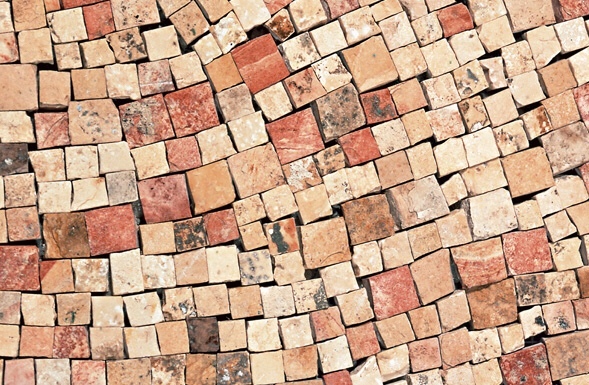 The variable pieces that make up a mosaic are called tessera, or tesserae, if speaking in the plural. A tessera can come in all shapes and sizes, and is sometimes uniform, at other times irregular. But on average a tessera measures at 20 mm in diameter. 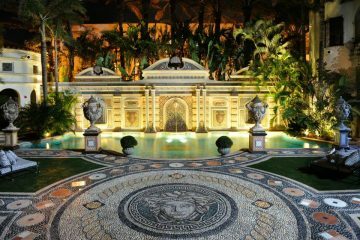 Depending on the application being put into effect, a masterpiece of a mosaic can sometimes embody a wide variety of materials, but also in some instances, can be limited to just one or two choices. 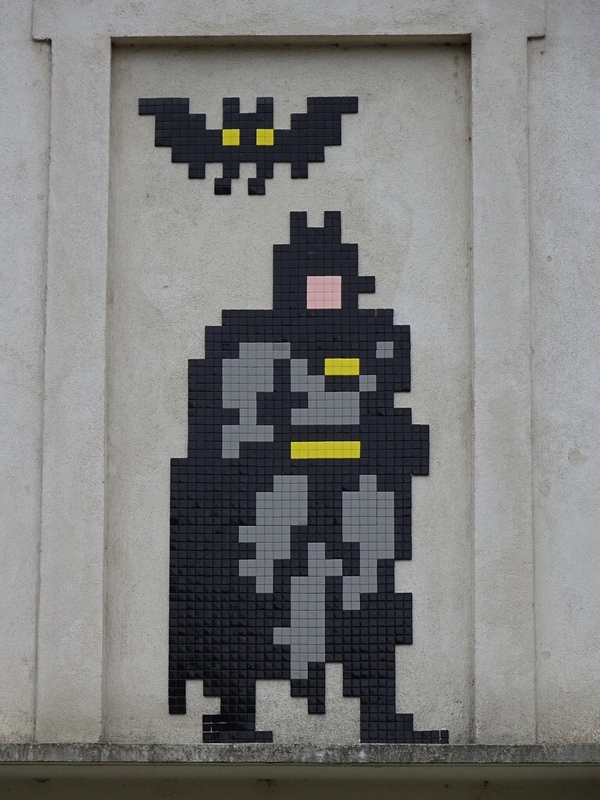 World-famous contemporary mosaicist Space Invader has developed a global reputation as one of the most trending current-day artists in the field, although the majority of his creations are limited to the one basic choice of ceramic. On the other hand, Laura Rendlen, another contemporary, has mastered a more elaborate method of including a number of materials in her artworks, with which she effectively manages to capture the illusion of movement. 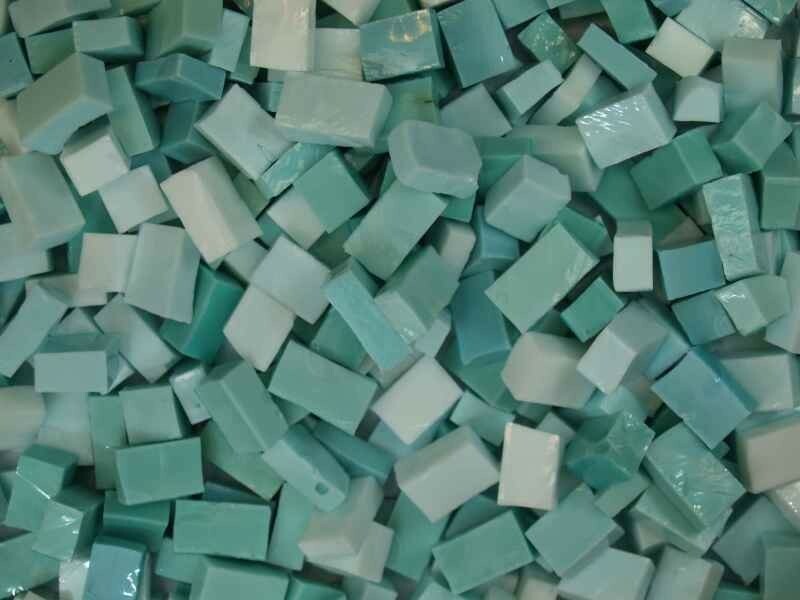 If you choose to use glass in your mosaic, the most accessible and affordable kind of tiles available on the market are vitreous tesserae. 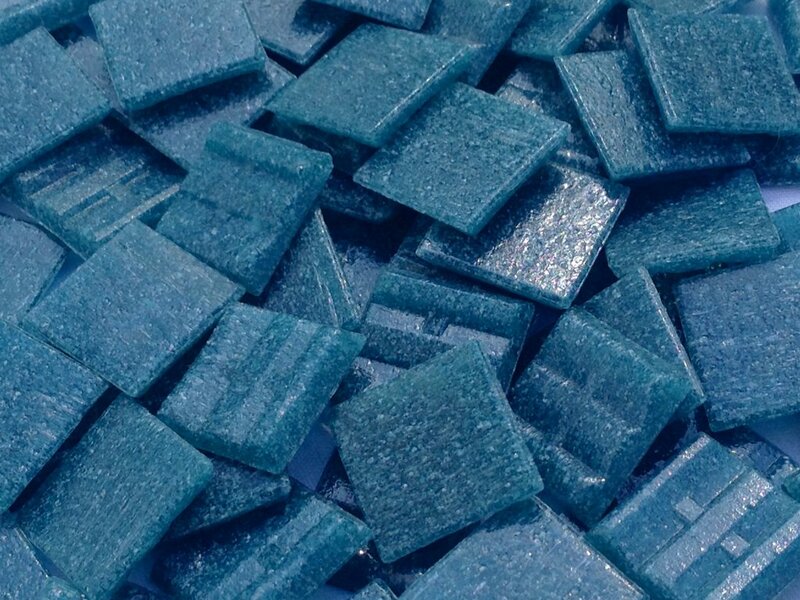 This is the staple choice for tiles that are applied to swimming pools, or used in the shower. A vitreous tessera usually measures at 20 mm square. There is a wide variety of colors to choose from and they can be purchased in loose form, or on sheets, in which case they are packaged with a fabric mesh which dissolves when put in contact with warm water. 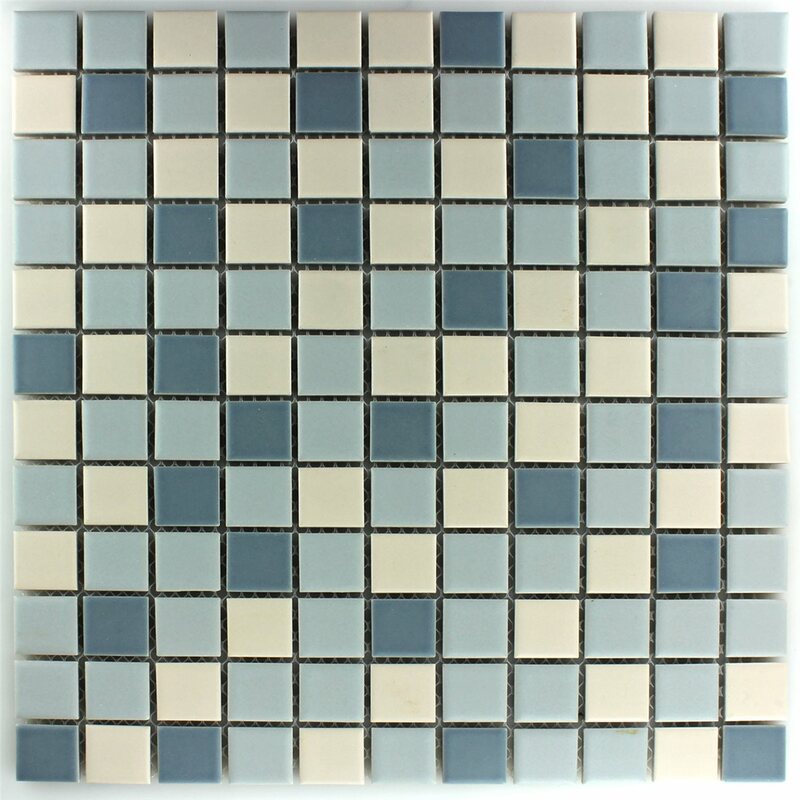 Similar in nature to vitreous mosaic tiles, ceramic tiles are accessible and considered cheaper as far as tesserae go. They can be readily purchased online or at arts n’ crafts retailers, or any regular tiling merchants, both in loose form or in sheets. 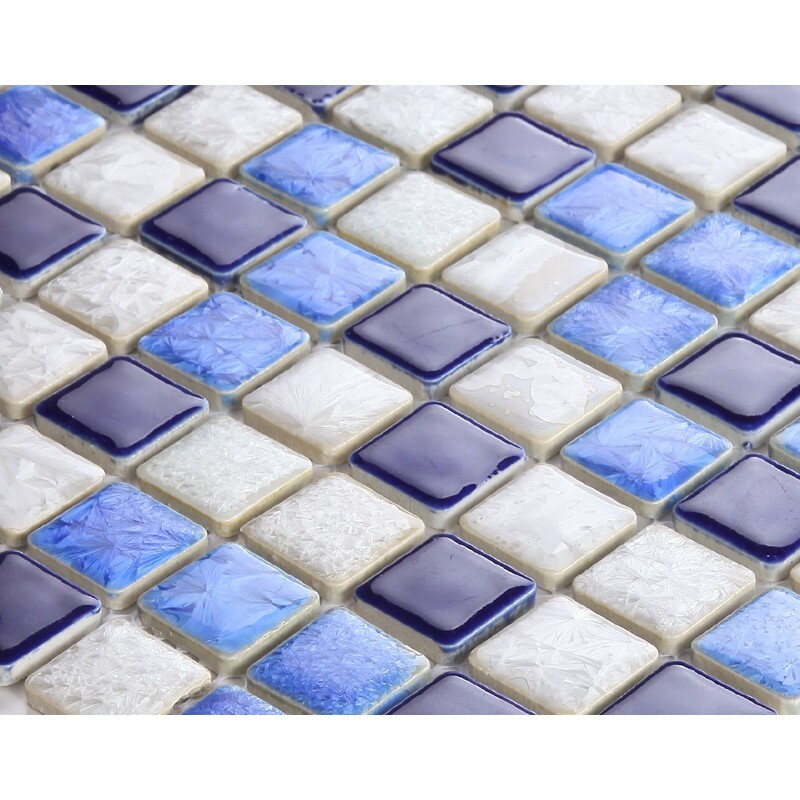 They are a recommended choice for a beginner mosaicist, due to the fact that ceramic tiles can be sourced in a very wide variety of colors and textures. They are also easy to cut, re-use and sample, making them a practical choice if used in abundance. 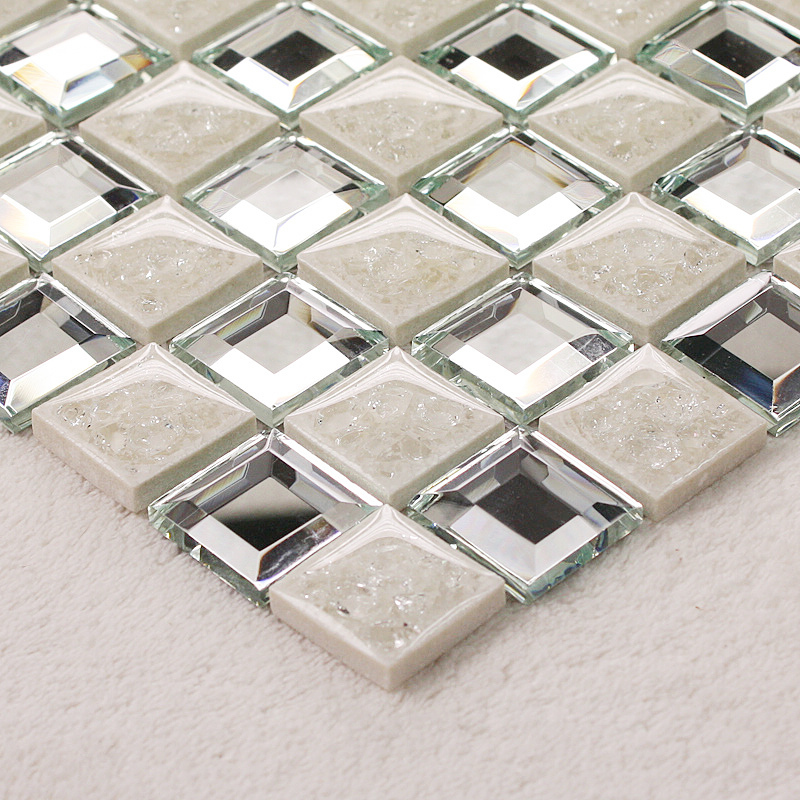 While vitreous tesserae are affordable, you can go up the scale of price-for-quality, and choose to use clear glass tesserae. This is a good choice for veterans of the art, as this type of tile can be cleverly manipulated to bring on optical effects, through its refractions of light. 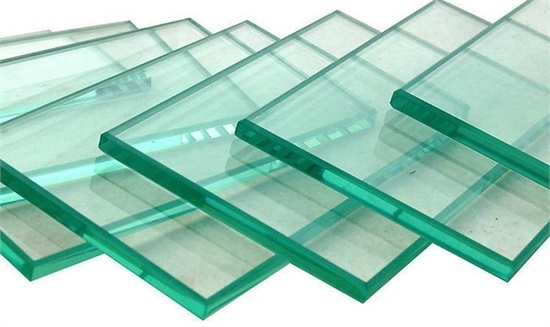 Similar in nature to stained glass, clear glass is a delicate medium which provides a very aesthetic aura. 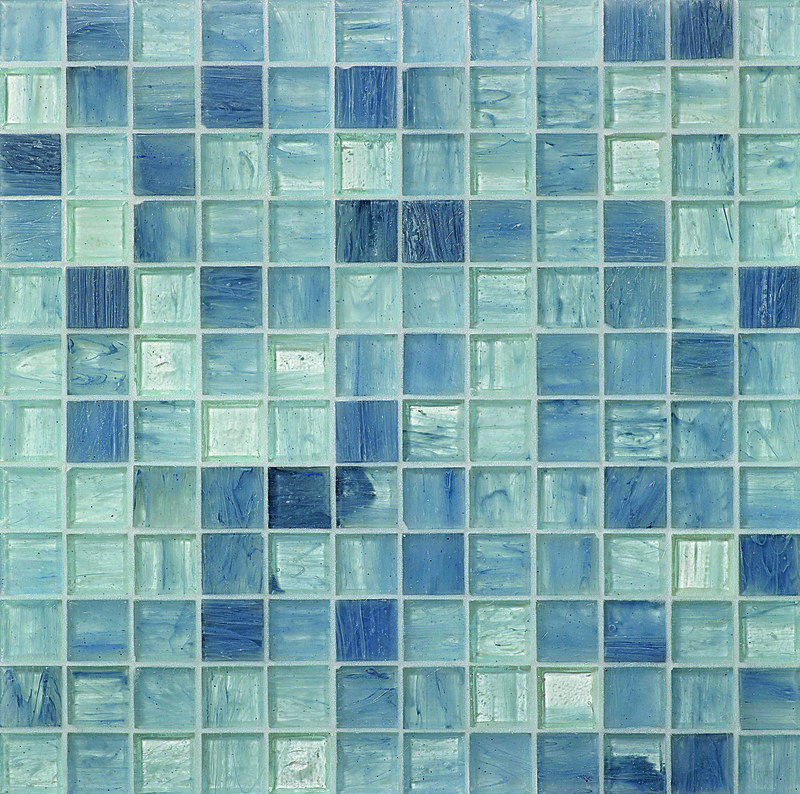 Going even further up the spectrum for quality, Smalti tesserae are another option to consider. 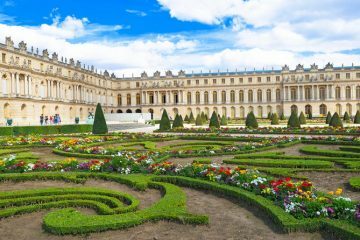 They are a select choice that will require a bit of an investment on behalf of the artist, but is worth it, owing to the special qualities they are made of. 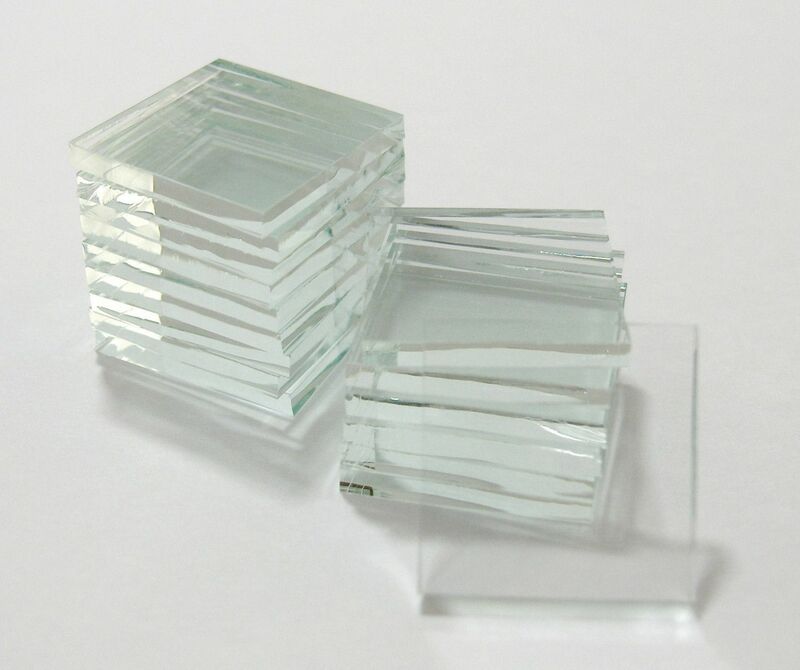 Smalti is made from imported Italian handmade opaque glass, which is formed through a dated and traditional method, whereby each individual tessera is cut to size by the human hand. Apart from that, it also includes rare elements, in being a uniquely formulated glass that is stained and infused with an assortment of minerals. Smalti tiles are on the expensive side, as these minerals vary and can even include leafs of gold and silver. As glass tiles go, their ability to create refractions of light make this kind of tessera popular amongst experienced artists, who will often use it to cleverly manipulate its luminous qualities, which are clearly visible. For these same reasons, Smalti tiles are also preferred for the richness of color that they provide. 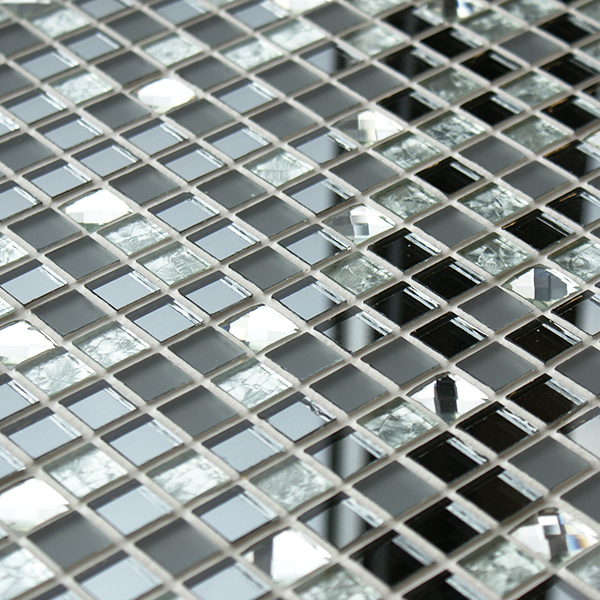 Mirror tiles are a practical choice for DIY methods, and can be sourced by smashing a mirror at home for example. While this might be an affordable option to choose, it can also result in a vast number of irregular tessera, so choosing to buy sheets of mirror tiles may be more pragmatic for a beginner. But in either case, using mirrored tiles that have alternating tints can achieve a very beautiful effect, especially as applied to large-scale productions. This also applies to artworks cast with a barren wall in the backdrop, as the light’s reflections can create an ambient effect within its surrounding vicinity. Cutting back to the origins of the art-form, marble or stone tesserae are one of the most basic elements used in the archaic technique of creating mosaic patterns. This technique was first put into effect by the Sumerians, in a time before Christ, going as far back as 600 BC (please click here to see our blog post on Ancient Greek mosaics). A natural element, stone has been applied since the dawning of the art form, primarily because it was easy to source the raw material at a time when cutting tools were very basic and limited. This is not to mention stone’s durable quality, making it applicable for mosaics that are inset within pathways and in outdoor locations. 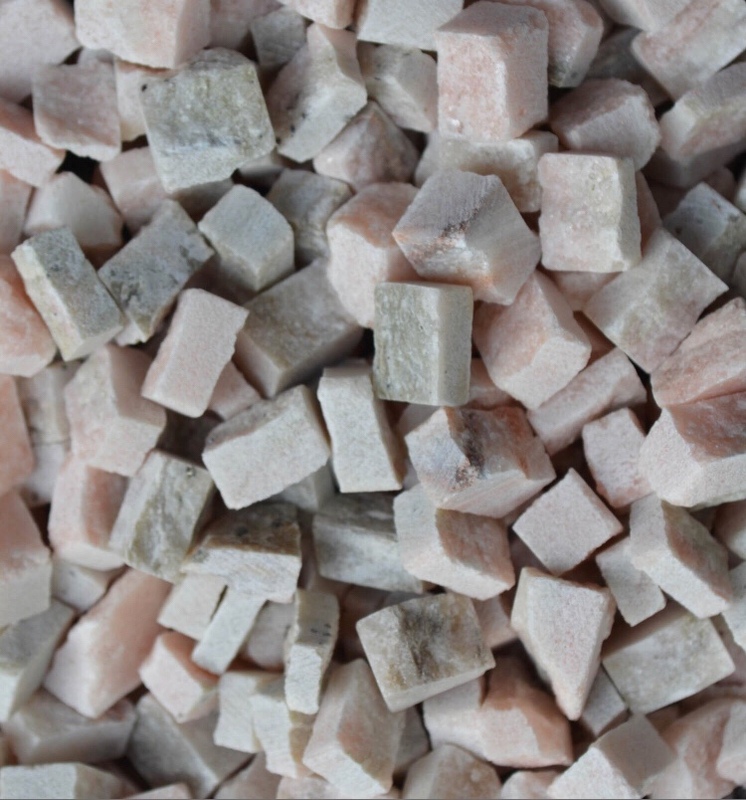 For a variety of stone mosaic materials, please click here. Before coloring tools became more advanced with the added benefit of being able to individually paint each tessera, a mosaic would be limited to the use of natural stones colored by mother nature herself. Today, stone or marble tessera are both hand and machine painted. But back in the days, this wasn’t an option, leaving the artist at the mercy of whatever naturally colored stones were at hand. The beauty in using stone or marble is rooted in its ability to last for centuries upon centuries without downgrading in quality, as is prevalent with the plethora of hardwearing artworks and masterpiece relics that have existed through the generations and are still poised to stand the test of time. 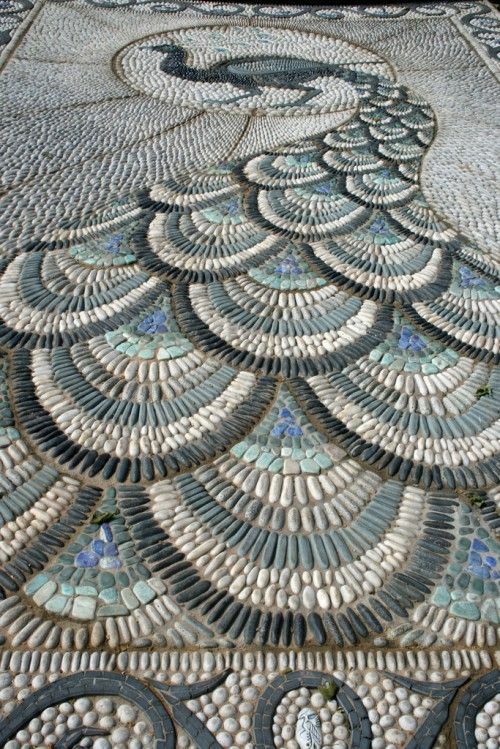 Pebbles are a popular but just as antiquated choice of material that typically comprises mosaics that are inset to pathways and sprawl across floors. Pebbles have a natural design that resists impact and can handle the weight of the world, even when being stepped on. Pebbles are recommended for use in outdoor and external locations, to inlay surfaces that are frequently tread upon. 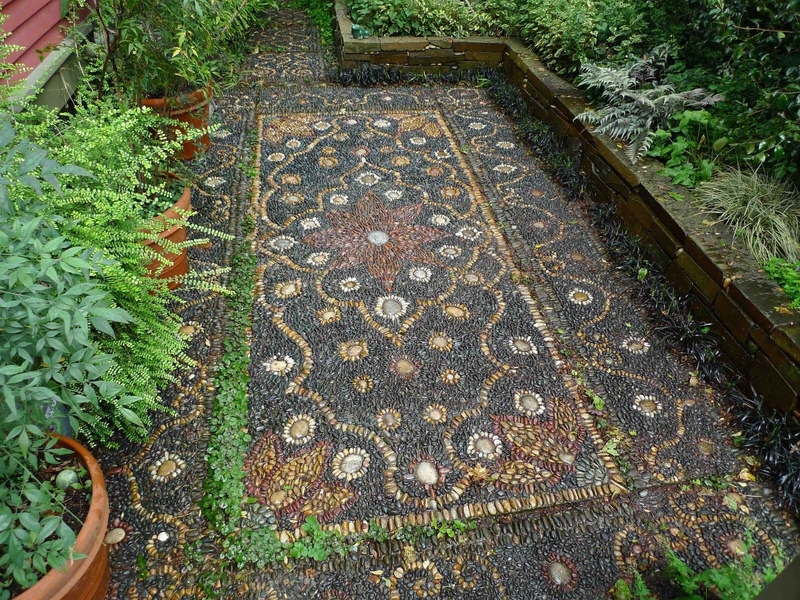 Hardwearing yet smooth in appearance, a pebble mosaic is often destined to be installed in a garden space. A highly renowned contemporary artist that has mastered this method is Jeffrey Bale, whose talents have made him a reference after championing the pebble technique. This is especially prevalent in his famous World of Gardens installation that is installed in Portland, Oregon. This beautiful production serves as solid evidence that there is a vast multitude of patterns that can be achieved, to deliver spectacular results even when limiting the materials used to pebbles. Porcelain tiles are also an accessible material for personal use. While they can be purchased, they can also be sourced from the mug of coffee you might happen to be sipping from right now, if not cast-away crockery or old teacups and china-plates that have been collecting in your kitchen cabinet. What appears as trash can be shattered and broken up to in turn be adjoined into an eye-catching mosaic, becoming not just an artistic application but also a beautiful way of reducing waste and essentially re-cycling. 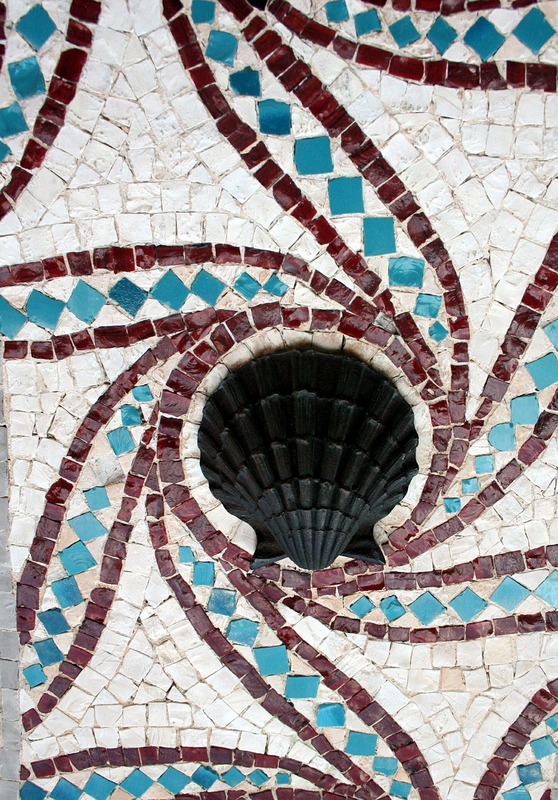 Sea-shells can prove to be a great source for raw material, when it comes to piecing together a flowing mosaic. The beauty in using seashells is that they are naturally multi-colored, corrugated and textured. With a jointing compound, a hammer, sponge and a paint brush, you have about all you need. Beads can also lend a very aesthetic effect to the artwork. 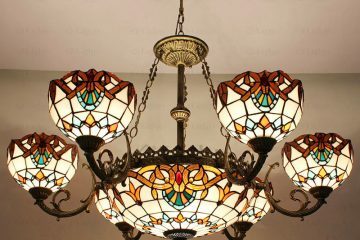 Glass beads in particular, if applied to a glass base, and well bonded, will give a mesmerizing effect. 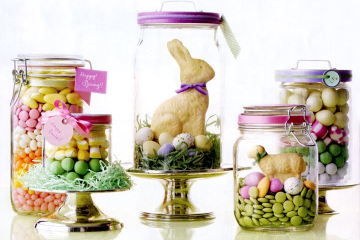 You can also use dry legumes and seeds to create your own beads, or beans, or even use jelly beans. 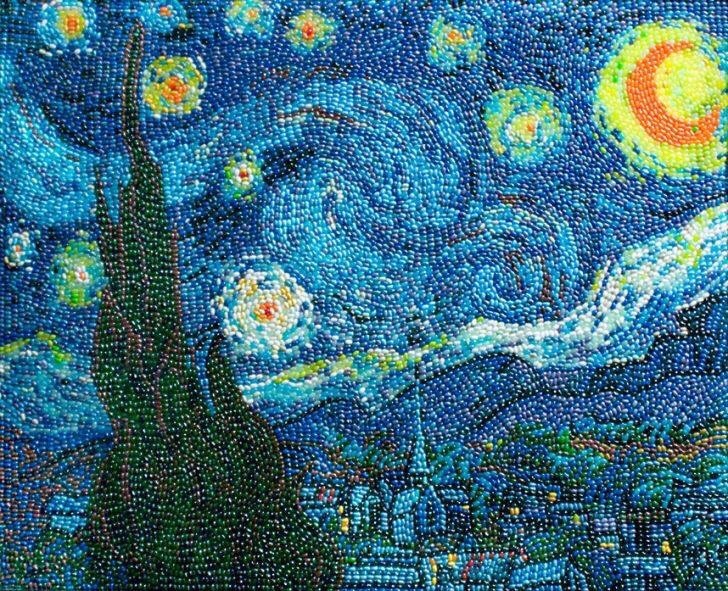 While the concept of it might come off as being comical, you would be amazed by the level of detail that can be achieved in a mosaic derived from not just beans, but jelly beans, as seen here: a rendition of Van Gogh’s Starry night, created by Artist Kirsten Cummings. While the list goes on, the number one rule to applying mosaic tiles is that there are no rules. 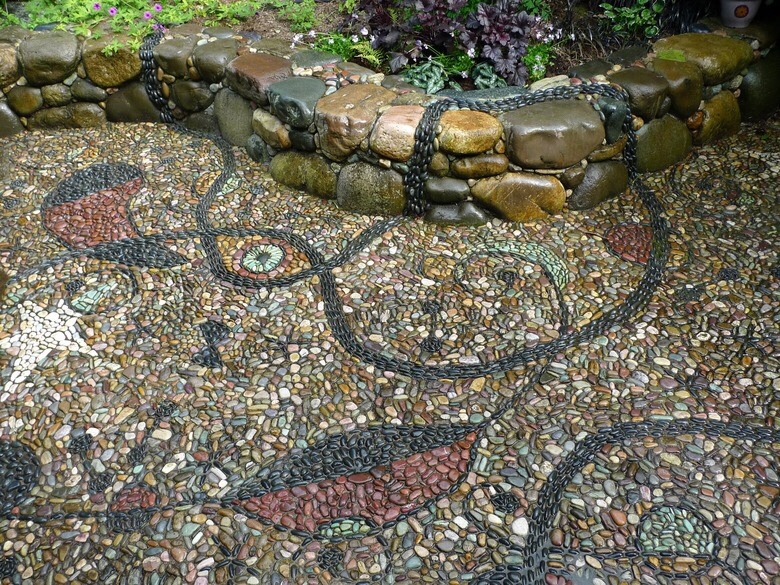 It is good to have a brief idea of the more regularly used elements that comprise a flowing mosaic. But if you are going for unusual materials, these could be anything that comes to mind, including but not limited to jewelry, typewriter keys, coins or even bottle caps. You might have a board game that you’ve outgrown, and capitalize on its removable parts, such as risk soldier figurines or the dice. You could even disassemble an old watch, take apart a chandelier you want to have replaced, or fragment metal, glass and ceramic souvenirs into the many pieces that make up the jigsaw puzzle that is your mosaic-to-be. The list is endless. We hope this serves as food for thought, next time you’re zoning in on the ideal materials for a custom design, or if you’ve chosen to craft one yourself. There is no shortage of ideas, when it comes to sourcing your raw material for a fresh masterpiece. For a vast multitude of designs, both customizable and pre-worked, please visit Mozaico.